in the next couple of weeks, many changes are coming in smoke patch website, will be implemented gradually, some addons might be offline pending updates to come shortly after the release of the new smoke patch. the new patch for p19 will be released after finalizing it, then will continue with patch for p17 and p18 using the database of smokepatch19. more info will be announced when available and confirmed. smokepatch features are well known to most of our users, but we always try to make enhancements and updates, detailed features will be available with every release. features and info, alongside database, addons, tutorials and demos of the patch will all be updated, and all available in the smoke website menu, we try to make all smokepatch information available for you to read. as easy access as possible. smoke patch will try to make the patch as small as possible, although it would still be big, the fully loaded with all addons patch would be around 25 gigabytes, but most features will be moved to addons as optional downloads, specially the big stadium server. we will pack the patch in around 700mb parts, not too big for clean download and upload, not too small to have minimum number of parts. the patch size is mainly because of the big number of real faces that is added to smoke patch thanks to the participation of many fans, faces files alone is over 5 gigabytes for p19 (7gb for p17), and will be included in the patch by default. new and updated adboards will be included in smoke patch by default, will work on stadium server or any stadium pack installed, thanks to omina and chosef for the hard work. smoke patch will be using the maximum number of teams allowed in every game, there will be differences between game versions depending on the capability of each game, although all the players will be available for all games at least as free agents. removed all double teams that konami made in ACL, replaced them with other asian clubs benefiting from the maximum number of clubs. 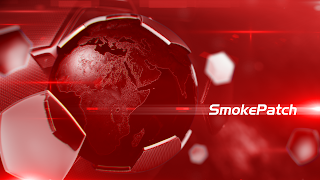 our latest database for smoke patch have more than 20.000 players all real players (except for two custom teams), removed around 5000 fake players from the game, all players are updated following the latest konami stats, we always try to add more real faces and minifaces for better graphics. minifaces are in separate cpk so we can update it separately. all teams in smoke patch have their real kits, most of them updated to the latest kits, many worked on making the kits and textures as good as possible. we will keep making more updates in kits in every version. sleeve badges are made as png, and is activated in the edit file that the patch includes. smoke patch replaces all the fake leagues with real leagues, leagues are selected based on fans polls over the past years, all leagues have correct attributes and the teams participating are all updated following their promotions. the chants are mixture between past smoke chants and updated chants sent by the fans, the files are considerably big so they are not included in the patch, is available as optional addon. game alternative music is available as addon, we will share more when the makers send us. many commentary and languages are available for download for each game, you have multiple options and versions so you can choose whats good for you, all files are game authentic files. the patch is compatible with all languages. the sider is available by default in the patch, although nothing in it, special addons will be available to download as addon, to install these files be sure to read the information about it. many graphic enhancements always included, added more boot and balls models and made available many alternative startscreens as options. we will share more when the makers send us. boots and balls and other content maybe updated separately as they are included in the patch as standalone files, can be replace with others work by replacing the cpk file. all graphics included in the patch are optimized for best quality and performance, no lags loading the graphics. as we always make enhancements in smoke patch, we will release different updates for this full smoke patch, the structure of the patch allows to update each pack separately. - smokepatch is always compatible with all versions and latest game DLC versions. - a new master league mode is required to the big changes in the system files database. - the new patch is a standalone AIO (all in one), will replace the last execo patch. - old addons might not work, we will update the addons when needed. - for steam users, you need to press (analogue stick) in the team select menu, to choose to play with live updates or smoke updates. Oh my PC is ok, but cpu is bad. Looking forward! Can you please add the latest kits for Manchester United? Elements MAX added updated kits (away kit with black shorts instead of pink), but they were still pink in your last patch. Can you also update the kits from League One as well? Everything is great. The most Important thing is to put lot of New real player faces . can you add multi switcher ? can you add african teams ? please fix ac milan kit. the jersey number is still incorrect..
Great news. Guys, is it posible to fix the numbers on the Switzerland national team jerseys? both of them (home and away). Awesome job! - There're two N. Ueda, a Japanese defender. One at Kashima Antlers and another one in a Belgian team. This is a mistake made by Konami themselves. Sera lanzado este mes o en abril? will there be new legends??? As always guys, thank you very much. you are simply the best for me. Excellent news! A question... Custom teams we united and pes united, are included in some league? can u make bgm change able ? i mean that can we make our bgm with our song ? Can you add all face Indonesia National Team ? Please. Why Team Thailand League cant use for Master League ? Thanks for your work!! Thanks for all!! I love your work! Keep it up! I'm planning to donate to you as soon as I get my check next month. But I have a question: Do you have an estimate of when this update will be complete for PES2019? Tomorrow, next week, next month? Sorry for asking in this way, I have lots of travelling and planning to do, and I'll only play the game with this patch. Thank you! You are a Great !!! Congratulations ... Great job as always !!! When will the new patch for pes 19 be released? Will the Italian B series be included? Love the new website's theme, just wanna say i'm grateful for anything the team done. Keep it up the good work guys. So fake teams still in other euro Asia teams? Hey Dido, can you make the national teams go in alphabetical order or is there a way to do it our self? Don't you make patch for pes 2016?? Master SMoKE, will be added the missing europa league teams? Thanks. Hey SMoKE, will we get the new Kit of Estudiantes de La Plata (https://1.bp.blogspot.com/--8xIZuk3wSg/XHTy5l1q6YI/AAAAAAAA3d4/-xsvfI6X2Ic56aKqgnjUmWI_s33oaDytgCLcBGAs/s640/PES%2B2017%2BEstudiantes%2BKits%2B.jpg) and third kits like this one of Defensa y Justicia (https://http2.mlstatic.com/camiseta-defensa-justicia-D_NQ_NP_882715-MLA28715181522_112018-F.jpg)? Is possible to play with the 1.40 exe in teh future patch? Thanks ! Geo_Craig90 just released new kits for all leagues. Can u add his kits for new patch. PS- His kits r awesome. Thanks for your hardwork and the upcoming patch. In the current patch we are not able to hear Anthems in League/UCL/UEL Matches... Can you please have a look? I am using CPY version and using EvoSwitcher v3.1. can you add Egyptian Premier League, please? Can you add Ecuadorian League, please?. Genial, espero con muchas ganas el parche para 2017, ¡gracias por su trabajo! Can you make more "SMK_Extra.Cpk" to 30 files ? update the shirts of the Argentine teams?